BEST FIGHTER FOR CANADA: What would it take to "Canadianize" the various fighters? What would it take to "Canadianize" the various fighters? "It's gonna need a built-in beer cooler before it can take off... Eh?" While it is fun to discuss a fighter's speed, payload, and agility; there are other more mundane issues that need to be looked at. Before Canada decides on any fighter, it needs to address issues with how that aircraft can fit into the RCAF's current infrastructure, as well as meeting any operational challenges incurred by Canada's harsh climate and vast geography. While it certainly is easier and cheaper to buy "off the shelf", that may not be feasible in some cases. One way or another, there is a pretty good chance any selection will need to be "Canadianized" in order to make the most of the selection. Even the F/A-18 Hornet was not immune. 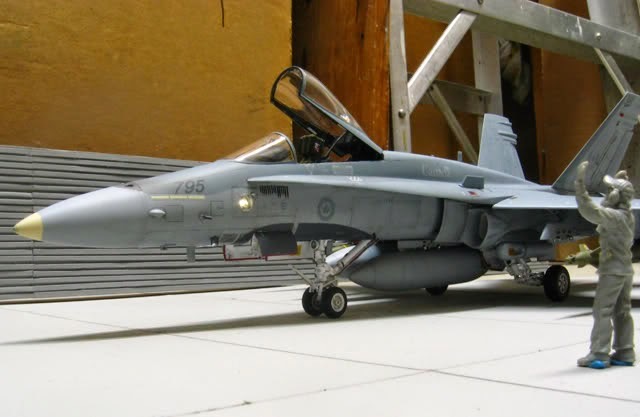 In its transition in becoming the CF-188 (Its official Canadian designation), the Hornet gained a distinctive false canopy paint scheme and an identification light on the forward port fuselage. Over the years, the differences have become more profound as the CF-188 has taken a slightly different upgrade path than the USN's F/A-18 fleet. So what would it take to "Canadianize" Canada's next fighter? It depends on how "Canadian" you want to get. For the sake of this discussion, let us determine what is "need to have" and what is "nice to have" for each fighter. For "need to have", we will require each fighter to match the current capability of the CF-18. That means operating from the same bases, with the same RCAF resources already in place. For "nice to have", we will look at a few items that are currently not in use, but would help realize the potential of that particular airframe's strengths. Despite being the current federal government's favored choice, the F-35A would need some substantial changes made to either the aircraft itself, or the there RCAF's current infrastructure. Probably both. Much has been mentioned about the F-35's compatibility with the RCAF's current aerial refueling fleet, so there is little need to revisit the details now. Canada would either require a new aerial refueling fleet, or it would need to equip a "CF-35" with the refueling probe found on the F-35B and F-35C models. Neither of these is a cheap proposition. It might actually more sensible in the long run to acquire two or three new (or lightly used) aerial tankers to replace Canada's current aging CC-150 Polaris fleet. Once the fueling issue is dealt with, the suitability of the F-35 to operate from icy runways or the RCAF's forward operating locations. These are typically northern civilian airfields where the current CF-18 can be temporarily stationed. Being based on a naval airframe, the CF-18 has no problem here. The F-35A, which is intended to operate from the USAF's pristine runways, could be a different story. It does not have dedicated air brakes, a tail hook, or a drag chute. In order to be viable for Canadian operations, the F-35A would require an add-on drag chute. Another option would be to order the carrier capable F-35C instead... But that has its own set of issues. If Canada decides on the F-35, it will do well to do one of two things: Adopt a second, cheaper fighter to help bolster numbers and control costs. Or, alternatively, go "all in" with the F-35 platform. This would mean not only acquiring the F-35A, but possibly acquiring a few F-35Bs to operate from a small helicopter carrier, much like what the Aussies are considering. At the very least, it would mean adopting every future capability upgrade. New tankers, possibly a new amphibious assault carrier, and a devotion to future technology? Whatever Canada's future is with the F-35 is, it is likely to be expensive. If any fighter platform could be considered "plug-and-play" with the RCAF's current CF-18 infrastructure, it is the F/A-18E/F Super Hornet. It was designed from the outset to fly alongside (but not necessarily replace) the legacy F/A-18A/B/C/D Hornet. Burned by the disastrous A-12 Avenger II program, the US Navy played it as safe as possible with the Super Hornet. This kept is safe from the budgetary axe during the post-Cold War, pre-9/11 fiscal years. All this means is that the Super Hornet has most of the features and capabilities of the CF-18. Probe and drogue refueling, the same runway requirements, and similar weapon capabilities. Some parts (but not many) are even interchangeable. There would be some changes needed, of course. These would be minor. New training for air and ground crews, parts inventories, and other intricacies that would be needed no matter what the fighter. The Super Hornet has a slightly larger footprint (earning it the "Rhino" nickname), although it is likely not that much bigger that it would require larger hangers or the like. While the Super Hornet may be the easiest fighter for the RCAF to transition to, it also has some performance issues when compared against some of the other fighters, and even its older sibling. To be blunt, the Rhino is underpowered for a F-15 sized aircraft. While its F-414 engines produce 25% more power than the legacy Hornet's F-404s, they have their work cut out for them powering an aircraft that is about 50% heavier and 25% bulkier. This is compounded further by the Super Hornet's need for 3° outward canted pylons to help with ordinance separation. The Super Hornet is also the only fighter aircraft being considered by Canada to not have a built in IRST. These issues can all be fixed by opting for Boeing's proposed "Advanced Super Hornet". The Advanced Super Hornet (or ASH) adds conformal fuel tanks, enclosed weapon pods, and more advanced sensors. The ASH concept also proposes upgrading the engine to F-414EPE, for a 20% increase in power. The extra power, combined with less drag and lower radar signature offered by the CFTs and EWPs, would greatly improve the Super Hornet's performance. Of course, no discussion about the Super Hornet can go without the mention of its A/V club sibling, the EA-18G Growler. When ordering the Super Hornet as an "interim" solution while waiting for the F-35A, the RAAF decided to take advantage of the platform's electronic warfare potential as well. This should be considered a "no-brainer" for any Rhino customer deemed worthy of Pentagon clearance. While the Super Hornet may be the most "plug and play" option, other fighters could be amalgamated into the RCAF without much more difficulty. With roughly the same numbers as the Super Hornet, but in use by more nations, the Typhoon is actually closer to the NATO fighter standard. One would be hard pressed to find a guided munition currently used on the CF-18 that could not be used on the Eurofighter. The Typhoon equips a modern HMD and a LITENING targeting pod similar to the CF-18's Sniper ATP (advanced targeting pod). Less-than-optimal runways should not pose much of a problem either. Initially intended to have STOL capabilities (these requirements were relaxed), the Typhoon has a massive air-brake and drag-chute. While there are no carrier compatible variants of the Typhoon, its runway performance should be considered adequate. 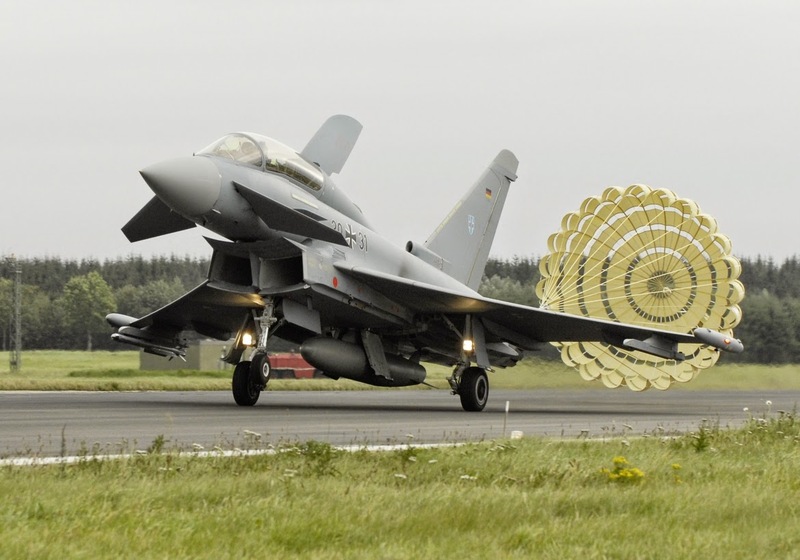 The Eurofighter also utilized the "probe-and-drogue" method of aerial refueling. In order to be cleared for use in the RCAF, the most the Typhoon might require is some additional cold-weather testing, satellite communication capability, and other logistical considerations. It should be noted that Tranche 3 Typhoons have the capability to mount AESA radars and CFTs, but these items do not come standard. The RCAF would be slightly behind the times if it did not opt for an AESA equipped Typhoon. The new "CAPTOR-E" AESA radar might be one of the best radars available in a fighter aircraft when it becomes available. As for CFT capability, extra range is always a good thing, especially if weapon hard points remain free in the bargain. One of the biggest advantages of selecting the Typhoon would be the ability to pick and choose whatever weapon systems work best. This includes utilizing the IRIS-T or ASRAAM instead of the AIM-9 Sidewinder. The Typhoon also gives the option of selecting the ramjet powered MBDA Meteor BVR missile with, or instead of, the ubiquitous AIM-120 AMRAAM. I have brought up the Rafale's need to be "Canadianized" before. The good news is, that is exactly what Dassault would like to sell us. 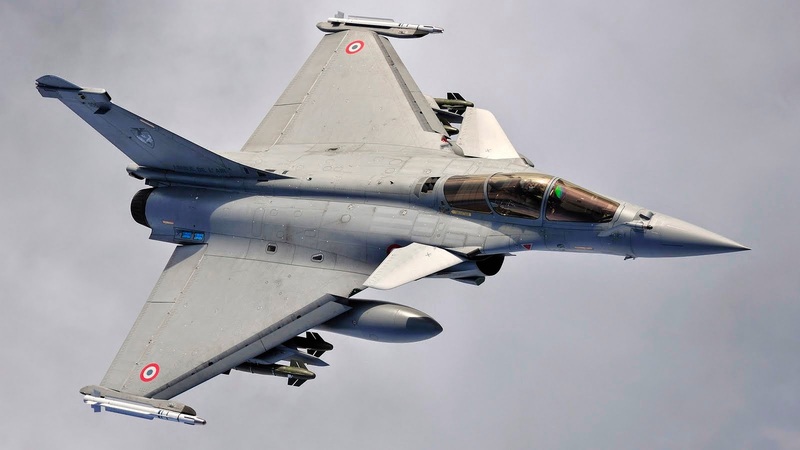 While some might see the Rafale as "too French", Dassault's offer to give Canada full intellectual property rights, including source code would mean that Canada could alter the Rafale as it sees fit. The most likely change would be to the Rafale's weapons. Any Canadian Rafale would likely sport AMRAAMs and Sidewinders, for logistic purposes if no other reason. Currently, France does not operate the Rafale with any HMD, despite one being tested. This would be considered mandatory for Canadian service as the RCAF's CF-18 currently utilize HMD capability. As France's soon-to-be only fighter type that includes a carrier-based variant, the Rafale is the very definition of a do-it-all fighter. Modifying it for Canadian use would likely be a fairly simple endeavor. Like the Typhoon, the Rafale has the capability of mounting CFT's. While there have been no customers for this capability yet, Canada would be a great place to start. The Rafale will also gain Meteor missile capability soon as well. Perhaps the biggest "nice to have" for the Rafale would be more commercial than technical. With Dassault willing to share so much, Canada could become a vested partner in the Rafale platform and help market it to other nations. "Canadianized" Rafale sporting HMDs, CFTs, and proven NATO standard weapon capability could possibly net a few more sales, with a portion of that going to Canada, of course. The Gripen would likely slot in somewhere between the Super Hornet and Typhoon for ease of transition into the RCAF. Saab has intentionally made all Gripens past the "C" model export-friendly, with plentiful weapon options, a refueling probe, and NATO standard communications gear. Part of the design's focus is that of easy maintenance, using plenty of widely available parts. The engine (RM12 in the A-D variants, GE-414 in the E/F) is based on the GE-404 currently used by Canada's CF-18. Like the Typhoon and Super Hornet, the Gripen can handle just about any weapon currently in use by the RCAF Hornets. Sidewinders, AMRAAMs, Paveway laser guided bombs, even the venerable AGM-65 Maverick. The Gripen also equips a modern HMD and LITENING targeting pod. 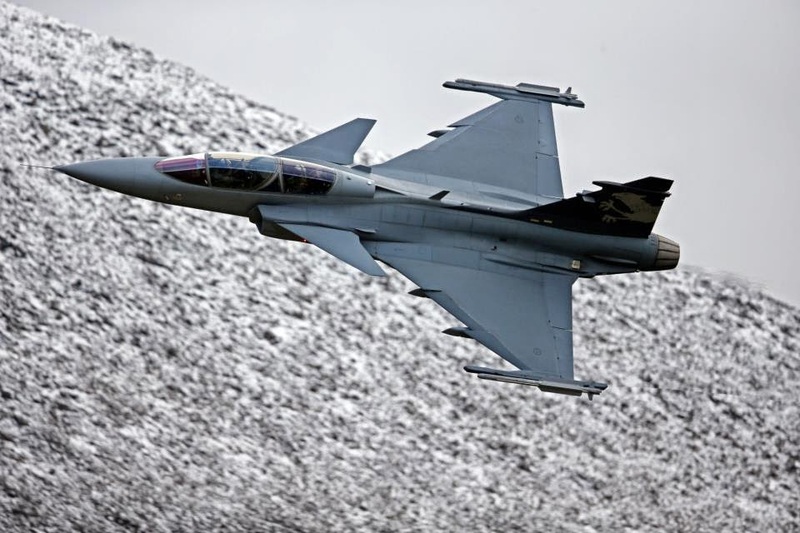 As far as cold weather or runway performance is concerned, the Gripen has nothing to worry about. Sweden operates a Gripen base north of the arctic circle, so no concerns there. Not only that, but the Gripen does not even need a proper runway to take-off and land, just 600 meters of public highway. Needless to say, landing at Canada's Forward Operating Locations should be a snap. Despite concerns to the contrary, the Swedish Gripen has proven itself capable of participating in NATO coalitions. One thing the RCAF would not need is extra funding. The Gripen is said to be one of the most affordable fighter aircraft in the world to fly, with costs approaching that of a private jet. Not only will the Gripen share the Typhoon's and Rafale's MBDA Meteor integration, it is was the first fighter to be cleared for its use. As with the others, it would be foolish to not take advantage of this possibly game-changing missile. The Gripen's wide weapon selection also allows the opportunity for the RCAF to consider a different BVR, WVR, and A2G missiles in the future. More choice is always a good thing. While the Gripen NG (E/F) is said to have superior range than the current CF-18 Hornet, additional range is never a bad thing. 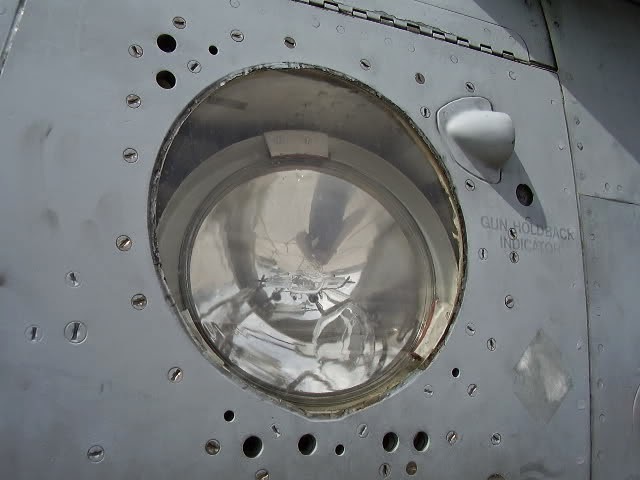 While there will be external fuel tank options, CFT's do not appear on the horizon. This could be seen as a possible way for Canada to contribute to the Gripen program. Like the F-35A, one of the biggest issues surrounding the F-15SE for Canada would be its lack of a refueling probe. The F-15 relies instead on the flying boom method preferred by the USAF. This may not be as much of an issue with the F-15SE, however, since it does boast a longer range as well as external tanks. Israel is also rumored to have worked on retrofitting probes to its F-15I fleet. Weapon integration would be a cinch. The F-15E Strike Eagle, from which the Silent Eagle is based, can handle just about any air-to-air or air-to-ground in the US arsenal, as well as many others. It even shares its M61 Vulcan cannon with the CF-18. The F-15's suitability for Canada's less pristine runways might be an issue. The F-15 requires 2.3 kilometers of runway. Its landing gear is built for big USAF bases, not aircraft carriers or frozen public roads like the many of the others. While the F-15 does have a large air brake and a tail-hook for emergency use, it may require some additional work. Then again, its increased range may nullify the need for forward operating bases altogether. Cold weather should not be an issue, as F-15s were based out of Alaska for years. With impressive range, payload, and other capabilities, the F-15SE should be pretty much good to go "right out of the box" as long as its aerial refueling compatibility issue is addressed. 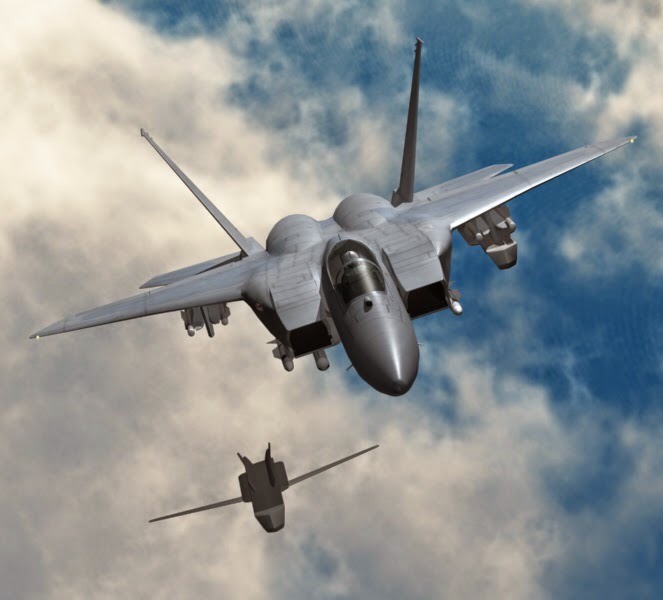 Despite the design's age, the F-15 is not going anywhere for years to come, with newer versions like the F-15E, F-15K, and F-15SA expecting upgrades well into the 2030 timeframe. When the US decided that the F-22 would not be approved for foreign sales, it assured that the F-15 would remain as the top-level fighter for many of the world's air forces. The one "nice to have" for the RCAF if it selects the F-15SE would be a higher operating budget. The F-15 is expensive to fly. It is a big aircraft with two gas-guzzling jet engines. There is no way around that. Its cost per flying hour could very well likely exceed even the F-35, an aircraft who's CPFH (cost per flight hour) is increasingly hard to determine. "Canadianizing" an aircraft could potentially result in some hard choices that would need to be made. Do we alter the way our fighter fleet currently operates, or do we spend millions modifying an airframe to our needs? Perhaps we need a "Stompin' Tom" scale to determine just how "Canadian" we want our next fighter to be. 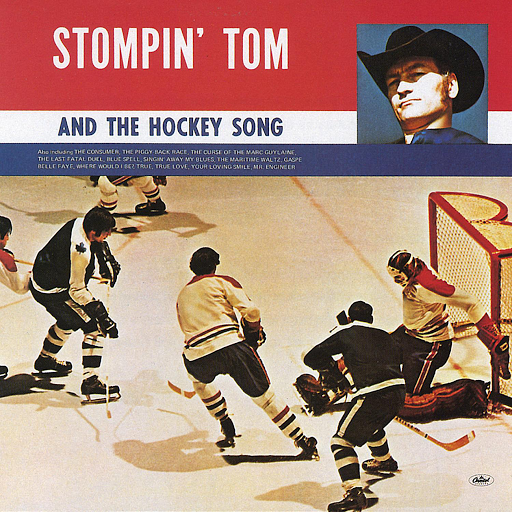 Stompin' Tom being a "10" and Justin Beiber rating in at "1". How "Canadian" do we need our next fighter to be? It seems to me that the F-35 could have had the greatest potential for "Canadianization". Here we have three different aircraft all sharing the same airframe and you would think LM would have built into the design for more mix and match. ie options for either refulelling system available. Or the C models wings and heavier landing gear to fit on the "A" which would have possibly provided a better fit with the RCAF especially in northern ops which would negate the need for a drag shute. But as it is, in an attempt to put all their eggs in one basket they've become a bit dyslexic and put three basket cases into the shell of one egg. Talk about crapping in your own nest. Or, in this case, nesting in your own crap. Of the other offerings I think any one or combination would be fine and "Canadianization" would not be much of a stretch. I noted that one of the posters mentioned that the Rafales cockpit would be too cramped for pilots in winter gear. Obviously we don't live in a perfect world. Two engines would be a need to have, as it was in the past when the F-18 was chosen overt the F-16. In our past, when countries wanted to buy or get additional model of the F-5, F-86, and F-104, they wanted the Canadian version. But that was during the cold war and while Canada had an aircraft industry(Canadair and Avro). Canada has typically made advancements to aircraft after the first production runs, Canada went the right way years ago by buying navel versions of aircraft. F-18 - Tag team with the US Navy and split the development cost. Add the extra fuel tank, IRIS, missile detection system, and the bigger engines. Canada could design new stealth detection sensors and tracking systems. What's certain is that the F-35 SuperGrover cannot be canadianized since the USA insist on keeping exclusive control of sensitive stuff like source code and best-performance features. (UK F-35B will be slightly worse on many points than the Marine F-35B. Same will be true of any other export variant, even to Five Eyes countries which are supposedly the USA's real friends who are really trusted.) The F-15SE is a paper airplane based on old design, and likewise for the ASH. The best choices for Canada are Rafale for performances, and Gripen for cost. Given Russia's recent shenanigans, I'd strongly suggest Rafale. The great unknown with the canadianization is the willingness, if any, of the Canadian government to go down this path. How much is it ready to invest in money and time to canadianize an aircraft ? Or does it wants to simply be a captive client and make do with whatever it can get, no matter unfit it is ? Some of the proposals, like the one of Dassault, may be interesting from a national independance perspective, but also require a serious long term engagement. That said, the 2.3km of runway needed for the F-15 certainly is a serious problem. The forward operating locations runways don't or barely have this length (Inuvik FOL is 1.8km...). Although some F-15 are operating from Alaska, the USAF airbase there is much larger than the AOL. For landing on icy runways, I would be curious to know if the pilots prefer a drag chute or a hook. Paul, wouldn't you like to be a fly on the wall when these generals, colonels, and majors discuss all this stuff? Must be pretty tense right now. Their horse ain't running too good. We have all these great ideas without political liability. PS I really do like the Rafale. I just do not think the brass will break out of their groupthink. I am still amazed at the whole mess ... with no real competition for such a colossal sum of money. The problem this is not just a military purchase. The economics guys get involved. The conservative government has done well for the military until they stayed with the F35. I don't blame anyone. The brochure does not match the current actual. Canada had the right idea when it bought the CF18's - twin engine, heavy landing gear, multi tasking aircraft. Navy versions of aircraft serve Canada well. The Super Hornet and Rafale are the only navy aircraft. The Gripen can also far under this category. I just put this comment in the Topic of the Rafale vs Rhino but I think is valid for this one too. Why do I think the Rhino is more than capable to meet all the requirements for the RCAF, including the Air ro Air role and it doesn't need too much to be perfectly Canadianized. Here is another video that shows how the missiles can super maneauver to destroy the target from incredible positions. With this Super Hornet simulator we can cleary see how an of boresght missile launched from another Super Hornet "impact" the airplane when following the Super Hornet. The arrival of the Helmet Mounted Display and the off boresight missiles of 4 gen like the Aim-9x or the python V have completely changed the rules of the classic dogfights. we can see how the Raptor is trying to scape from the Rafale. The Raptor pilot doesn't have a HMD and is in clear disadvantage in dogfight. Some reasons why I think the Gripen E is the easiest, fastest, efficient and most economical option for Canada. Even though both systems are known as 'Gripen C' Materiel System 20 (MS20) is far more capable than MS17 although both are known as Gripen C they have different capabilities. - Full access to all technology. Why buy a system which you can't develop from? - Good economy. Spend it where it is needed. The Gripen will be the first platform in the world operational with Meteor. Unlike the Rafale Gripen flies with one of the best HMD's in the world (built on the Typhoon one). Unlike the Typhoon Gripen has full air-to-ground capability. - Gripen E's software structure is easy to upgrade and customise. The flight critical systems are completely separated from other systems. Ensuring easier testing and development. This is to my knowledge unique in the world and is oddly overlooked since it makes the system plug n' play. Much like developing apps for the iPhone you can develop for the Gripen systems without risk to flight safety. "The integration of new weapons on some combat aircraft has become so expensive that European Defence Agency (EDA) held a workshop to discuss the problem. But Saab (Hall 4 Stand E5 and Chalet C35) has some helpful suggestions, based on its experience with the Gripen. The Swedish fighter served as the development platform for the Iris-T and Meteor air-to-air missiles, and other weapons were successfully added on time and budget." "Flight testing of theThales Digital Joint Reconnaissance Pod for South Africa's Gripens was completed in 2011 in “less than eight months,” they say." Swedish Armed Forces posted this great video from RIAT 2013 the other day. It is very well produced and would be hugely entertaining no matter what aircraft. You can hear all the blips and beeps from the aircraft as well as follow the eyes of the pilot and hear as he struggles to breathe during 9G manoeuvres. Also great views of the canards in action. I really like it. Agree strongly. Call it an interim purchase. Get 60. Depending on final price, ASH with pod. Flexible fleet. Stealthy + bomb truck + $ issue + total aircraft + scrappy fighter. No grounding issues. The ASH is really growing on me with Growlers for the other 40! Call me a genius because everybody will want to drink with me ... except LM. 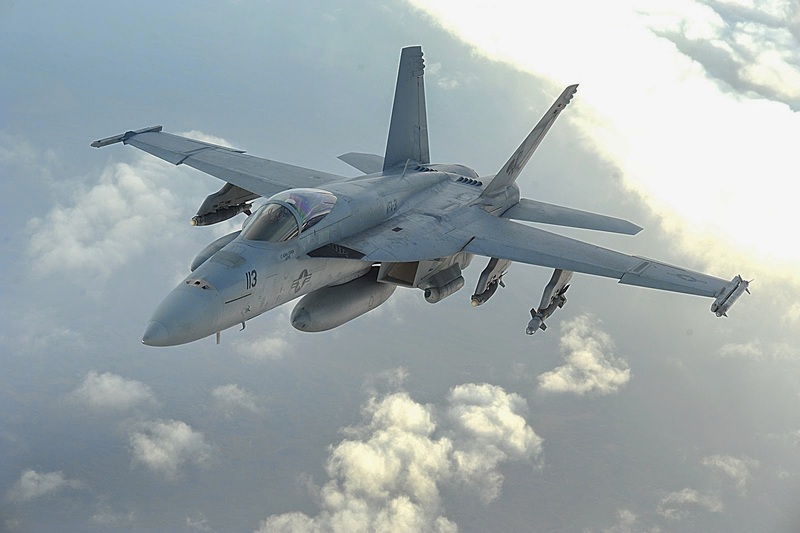 And we do have Boeing joining the bandwagon http://www.defensenews.com/article/20140713/DEFREG01/307130014/Boeing-Defense-Head-Saab-Team-Up-Offers-Forward-Thinking-Approach- so maybe a specific Super Hornet fan also will? Paul, I agree with you. My main problem with this whole mess is, 1) when they announced 65 jets, someone should have said "uh boss, something is not quite right here" because the numbers plus the type of aircraft pointed to black ops, small scale warfare, helping our allies, leaving the arctic to possibly drones with whatever F-35 is available to slowly intercept the Russians because they are always playing tricks. 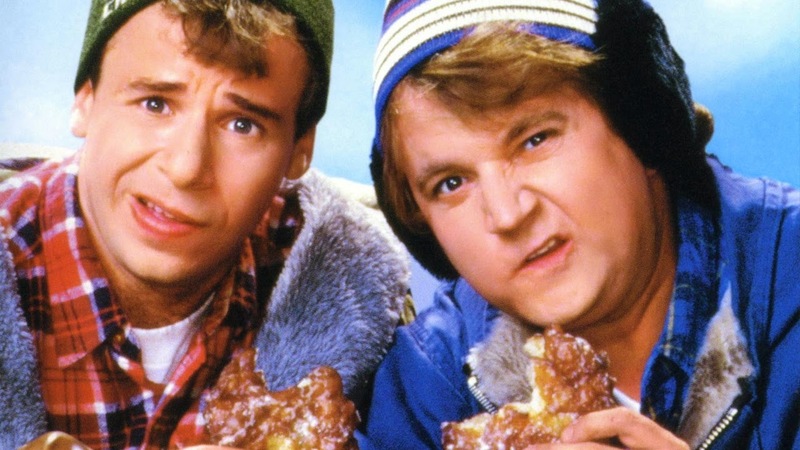 2) they should have known that they were going to get fried because of normal people ... Doug... with their trusted computer would blow this (possibly more) 100 billion dollar purchase right into the public eye. I support our military. I am proud of our tradition. We needed heavy choopers, get them. Globemasters, same. JTF2, essential... This though, not. I dot necessarily share all of superrhino's enthusiasm for the ASH but I think he is definitely in the right direction, and would gladly take 65 ASH over 65 F-35. "Analysts have been skeptical that a bespoke design could be cost efficient enough to win the service’s contract"
If they don't offer a 25m Gripen, there is no way to win this competition. I thing is too late when you have advanced trainers already in production like the T-50 Golden Eagle. I agree, Canada does not need stealth aircraft, leave that to the big guys. Canada needs to have a fighter with a system to detect stealth aircraft and have a missile that can find these aircraft. Canada can thrive by developing sensor and detection equipment for fighters. As far as numbers, Canada needs more then 65 if we plan to have the same fighter for 30 years. We have 80 now and the original order was for 130. If Canada plans to evolve to a mixed rolling fleet, 50-65 new fighters flying with the current fighters for a few years, then the next fighter is ready and we buy 50-60 of those fighter. Cost yes these are expensive and you get nothing back other then security. According to Wikipedia - the Rafale is around 100m (2013), Super Hornet is around 61m (2013) and the Gripen is around 69m(2006). To put that into prospective a 737-800 is 90m and a 777-300 is 320m each according to Boeing. I like the sensors on the tail. Thanks, I saw it long time ago. The actual Super Hornet is even better air to air platform. The Advanced Super Hornet/Growlers are full spectrum radar evading deceivers. That's effective Stealth. Ad some Malds and Jsows and they are the most powerfull cost/effective stryke force. If some stealth fighter try to intercept them it's radar emissions will be detected and jammed by the growlers and the Advanced Super Hornet acting passively will destroy them without being detected using their missiles from the enclosed weapons pod. The advanced Super Hornet is very low observable in the frontal view and Low observable from the sides. All they need to do is position themselves in the right angle to attack. Small 4gen airplanes like the gripen or the Mog29 don't have enough energy to jam airplanes like the Growler and they are not as stealth as the Advanced Super Hornet. The Advanced Super Hornet /Growler will be the best air superiority combo, even better than the F-22. I'm hoping the T-100 is successful as Canada is now part of the team with CAE joining in. Super Hornet/Growler is a great match for Canada all around and since we have an infrastructure in place to support them its easier to transition. The aussies even had there hornets upgraded in Canada to extend the life. One hole in the ASH acquisition is if no one buys it in a big way Canada won't go it alone, call it the ASH hole dilemma. One of the big procurement requirements for CDN is development and support until 2050 which doesn't favour the ASH today. Not sure what the lifecyle plan is for the SH/Growler. 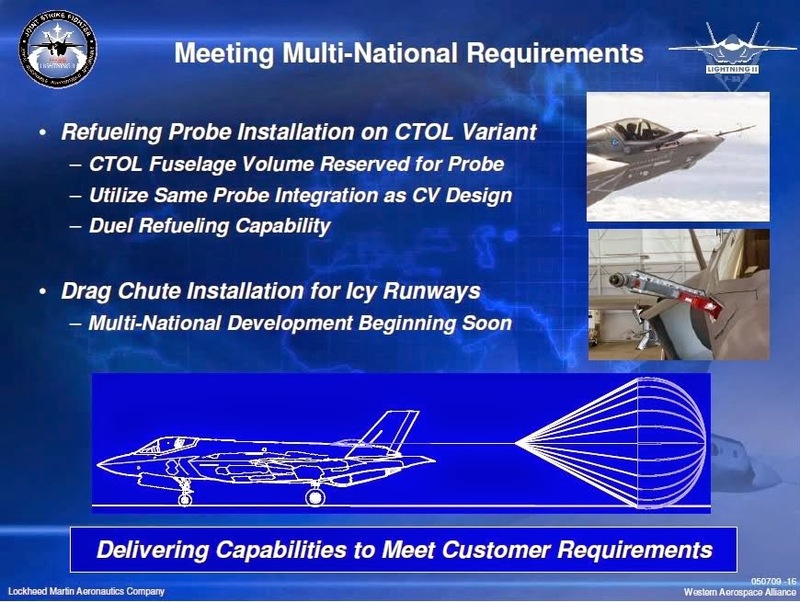 Now we do have the ongoing Farnborough Airshow so now Saab inform about the Gripen future as a system http://wms.magneetto.com/saab/2014_0714_webcast2/view http://wms.magneetto.com/saab/2014_0714_webcast2/view So no US black boxes and continious upgrades to be able to take future treats. As seen the buying country can be a part if it wants or do there own stuff which should be a big plus for Canada. I hear you but get a gut feeling that either the RCAF or the Canada/USA political establishment will stay away from the Rafale. I might eat my shorts on that one but it is a gut feeling. As for the Gripen NG, I am already sold. I think it is fantastic machine for the $. I am thinking more politics at this point, and the Growler. As for the mix fleet, both have low acquisition cost, low maintenaince cost, go for same engines ... at least half production here, and we soothe the political beast to have access to Growler. Is this far fetched, probably! If it was up to me, the NG is plenty. Don't get me wrong, I would be okay with the ASH. But the truth is I am but pond scum in the scheme of things!